Left: Sterling and Carnelian “Found Heart” pendant. $175. 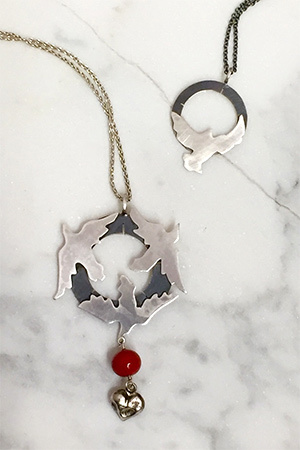 Right: “Bird Towards the Sun” pendant, sterling. $95.00.